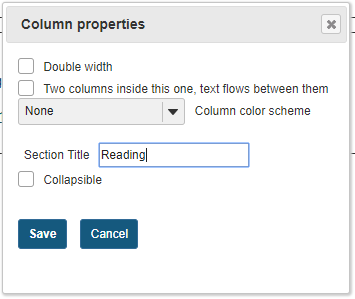 Sakai Guides and DocumentationSakai Complete User Guide LessonsHow do I create collapsible sections? 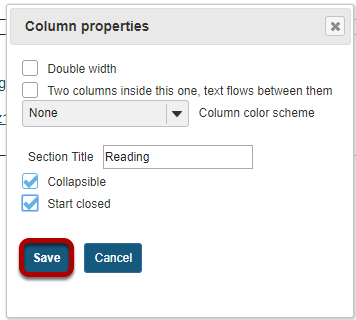 Note: The Lesson page must already contain content before you can make a collapsible section. 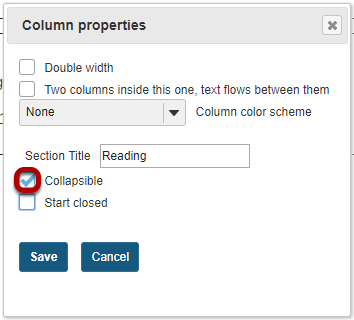 Select the column properties icon in the top left of the section. Note: Your section must have a title in order for it to be made collapsible. 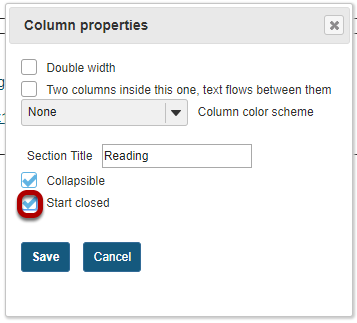 Optionally, you may also select the Start Closed option if you prefer for the section to be collapsed upon access. The collapsible section will display. Click on the section heading area to expand or collapse. Prev: How do I change the background color of a block? 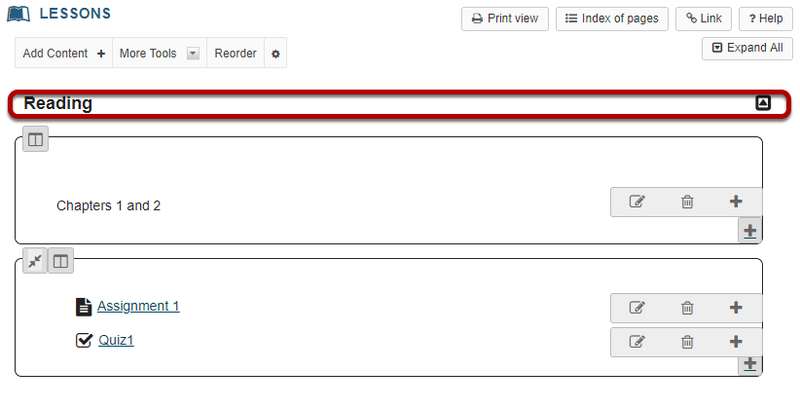 Next: How do I add a resources folder on a Lessons page?